Born in 2009, Mantra evolves at intersections of various influences, and offers a rich music, sharp rythms, powerful riffs and haunting atmospheres. Its four members invite you to enter their atypical universe, a subtle blend of powerful emotions that you will not soon forget. After two demos, the band signed on Finisterian Dead End Metal Label (Breakdust, Bagheera, The Veil, …) and released their first LP entitled Into the Light. Critically acclaimed in France and abroad, the album was then presented throughout France in a show mixing sound, light and emotion. 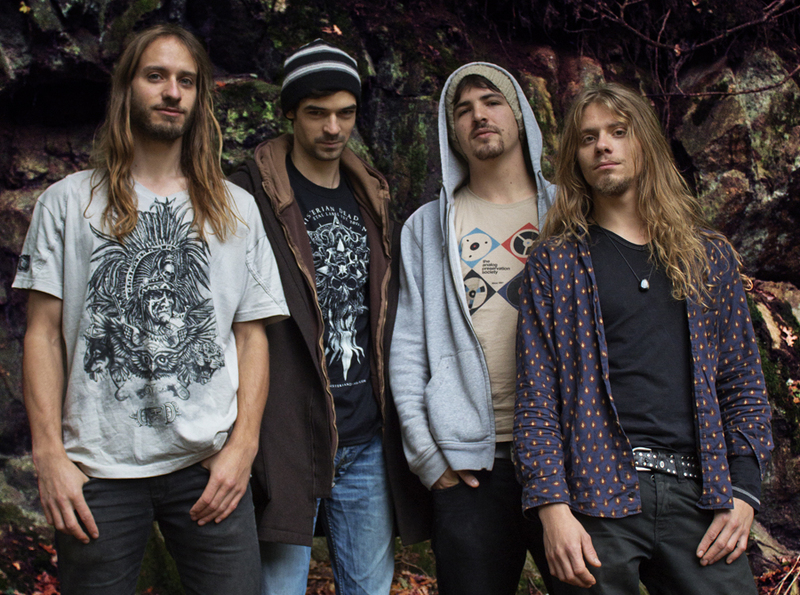 Mantra is now about to release its second full-lenght album in 2016 : an ambitious concept-album named “Laniakea” in which the band forgets about its influences to push its tribal and mystical experimentations even further.